We finish our official school year in early June but since we are homeschoolers we continue to foster of a love for learning throughout the summer with our “Fun Family School Days”. We pack away the text books and learn with a wide variety of hands-on resources, games and activities. My favorite new resource for fun, educational learning tools is Super Duper Publications. What makes Super Duper Publications so unique is that it has a wide selection of products designed to enhance the ways that each child learns best whether it be auditory, visual or sensory. There is even a wonderful section of educational games or activities specifically created for special needs including autism. We have added two wonderful new products from Super Duper Publications to our educational tool box including the Vocabulary Chipper Chat® and the “Which One Doesn’t Belong?” game. 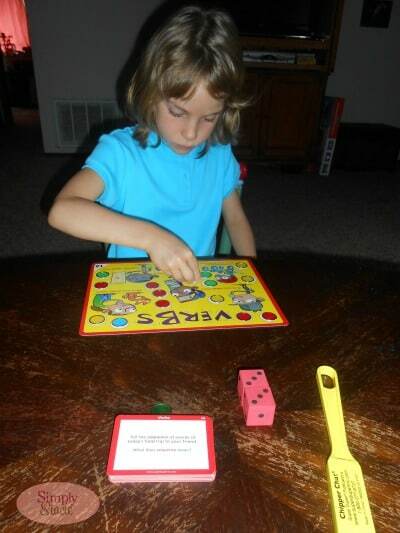 I am very impressed with Vocabulary Chipper Chat® which is a core curriculum vocabulary magnetic chip game for ages 5 and up. There are 60 different boards and 12 categories of vocabulary on over 360 cards to ensure that this game will provide hours of educational play. It makes learning about analogies, attributes, homonyms, synonyms & antonyms, verb and even figurative language fun for the child. There are no groans or eye rolling (like we get when I pull out the school books) when I suggest playing Vocabulary Chipper Chat® and this game reinforces the content we have covered in their text book. The instructions are easy to follow and it includes helpful game ideas too. Therefore, I was able to come up with creative ways to play this game in order to include my two younger children as well. I have found that I can adapt many of the products from Super Duper Publications making this one of my favorite features. 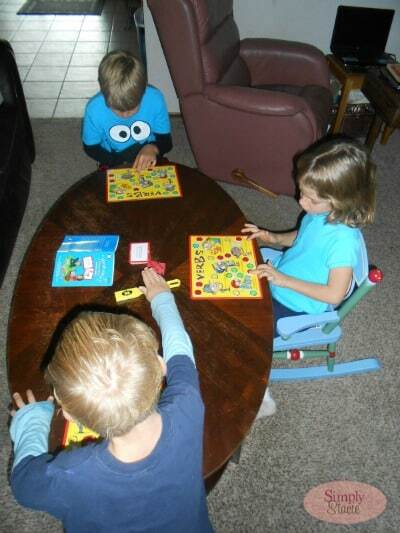 Vocabulary Chipper Chat® works great with three players but can be used in large groups or for one-on-one instruction. 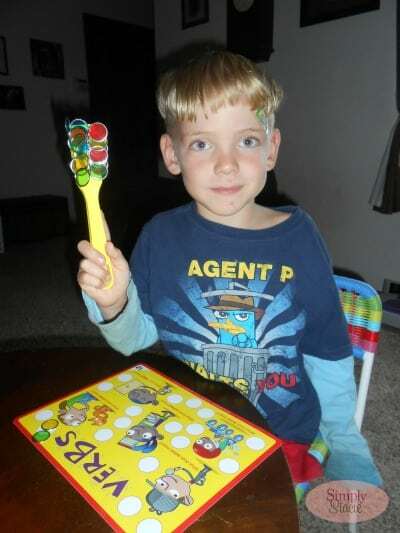 My children’s favorite part of playing Vocabulary Chipper Chat® is moving the chips around on the game boards with the “awesome” (my children’s description) magnetic wand. 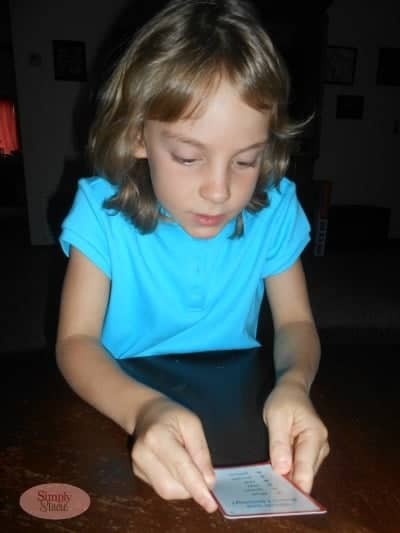 This game is a wonderful resource that can be used in so many different ways to take the frustration out of teaching vocabulary…..my children ages 8, 6 and 5 actually beam when they play this game and I love that it boosts their self-confidence while they are learning valuable grammar skills. The Vocabulary Chipper Chat is now on sale for $38.97! Another fun game that will be perfect for our long road trip this summer is the “Which One Doesn’t Belong?” Super Fun Deck ($34.95) which includes a neat secret decoder. I really want to highlight the exceptional quality of every Super Duper Publications® product that we are using in our home school and this one in particular is a stand-out. Most card games we have purchased in the past have been played once and then many of the cards get lost or destroyed very quickly. 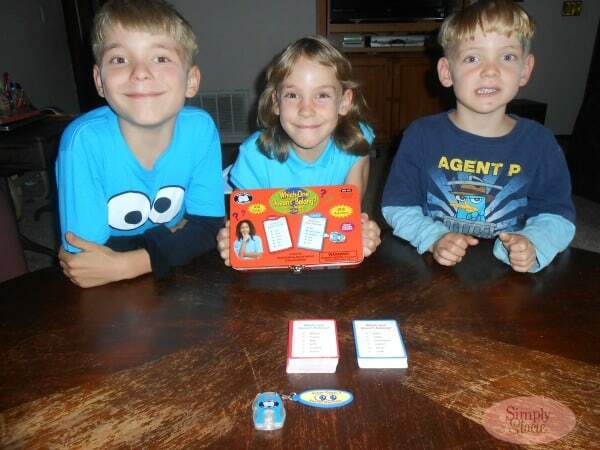 With this Super Fun Deck® game it includes a handy storage box so when it is not in play everything can be stored away easily until next time and it also makes it great to take along with us for something fun to do when we travel. “Which One Doesn’t Belong?” has 100 cards and a whopping 200 activities plus the hit “secret decoder” which the kids can use to see if they have correctly answered the question. There are two levels of game play so it can be adapted i.e. my younger children use the level 1 red deck and my eight year old son uses the level 2 blue deck. The questions are thought provoking and fun as children try to guess which one doesn’t belong to the group i.e. “foot, head, hand, jump, leg, arm” (level 1 question). Super Duper Publications® is the perfect way to stock up on fun, educational resources for summer break. There are so many different options to choose from at the “Castle” (a.k.a Super Duper Publications) that I am confident you will be able to find some great ideas for your children. Head over to Super Duper®Publications to browse the entire selection of wonderful educational themed products and I recommend checking out the 2013 eCatalog which is a fun way to see all of the available products too. I love the user friendly set up as you can narrow your product search by bestsellers, price, award winners, what’s new, wish list etc. They even have a FREE Super Duper StoryMaker App too! A money saving favorite is the FREE Shipping to the US & Canada with a minimum $20 order! Canadian Subscriber Giveaway for a Kindle Paperwhite! I would choose the Ring Bling! I like the Wh questions cards app! I’d pick Just for Laughs™ . Vocab chipper chat would be wonderful for my sons. I would like to get Ring Bling to play with my son! I would choose Just For Laughs.